New to rolling sushi? You’re in the right place. Here’s how to make sure you’re getting started on the right foot. Hey there! My name is Bryan Sekine, creator of Secrets of Sushi. If you’re new to rolling sushi, or if you’ve been rolling for a while and you’re looking for additional resources, you’ve come to right place. It will increase the nutritional value of the sushi you are eating (more on this below). It will help the environment. It makes for a great date night or themed dinner party with friends. You may need to purchase additional equipment (but like with most hobbies, the initial investment is small). How will rolling sushi at home save me money? Sushi prices aren’t high because the cost of seafood is inherently high – its priced that way to pay for the preparation of ALL of the ingredients. The next time you go to a sushi bar (or the next time you look at a sushi menu) pay careful attention to the total number of different ingredients they use for sushi. How many do you see? 50? 100? Each ingredient is specifically prepared and tailored to be used in sushi. And for each ingredient that is listed, someone has to prepare it. In some instances, certain ingredients need to be prepared DAILY. When I first started working at a sushi restaurant, I spent the first 4 hours of my day preparing ingredients: cutting vegetables, trimming fish, making rice, creating sauces and the list goes on. Now, that’s not to say that seafood is cheap- seafood prices rise every year and there are certain species that are pricier than others. But if you are willing to learn how to roll sushi at home, you can save money AND feed more people. I can spend 2 two hours making sushi and feed a group of 6 people for an average of $7.00 per person. This example assumes that I have 2 types of seafood, 3 types of vegetables, and each person eats between 2-3 rolls. Not bad, right? How will rolling at home increase the nutritional value of the sushi? Just over 33% of the samples taken were mislabeled according to the U.S. Food and Drug Administration (FDA) guidelines. The same investigation discovered that 59% of tuna samples were mislabeled and 87% of red snapper samples revealed that the DNA was from a different fish entirely. Here’s a link to the highlights of the National Seafood Fraud Testing Results. While certainly alarming, how does this affect the sushi industry? Mislabeled seafood means that the origin of the animal is likely unknown as well – which is a serious problem when you consider that several countries throughout the world don’t regulate how their seafood is obtained. Fisheries are using environmentally destructive methods (such as trawling, long lines, gillnetting, and dredging) while fish farms introduce pesticides into the water that fish live in. Unlike other industries that serve and/or sell seafood, the sushi industry generally serves their seafood raw or lightly cooked. That means that whatever pesticides the fish are introduced to are absorbed into their meat and consumed raw by sushi patrons (Yikes). But by purchasing seafood from sustainable vendors and rolling sushi at home, you can ensure that your ingredients are of the highest quality, pesticide free, and environmentally safe. If making sushi at home takes time, is it really that much fun? Absolutely. 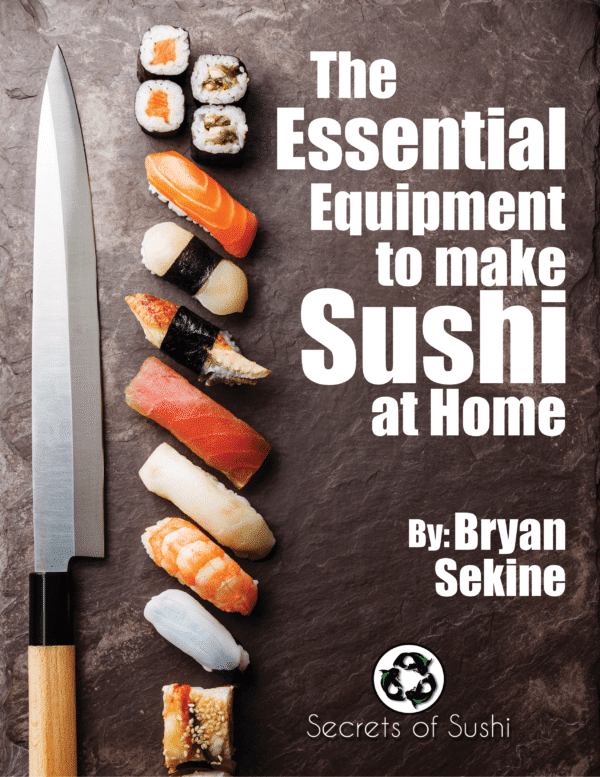 If you’re at all a fan of cooking, working with your hands, or creating a piece of art, then rolling sushi at home will be a blast. While it will seem like it’s taking a lot of time in the beginning, I promise you that it will become easier (and faster) with practice. In fact, I created this website to help you learn the various techniques and make the process of learning simple and enjoyable. If you have any questions, or you need help on a particular aspect of rolling, feel free to shoot me an email and I will get back to you as soon as I can. 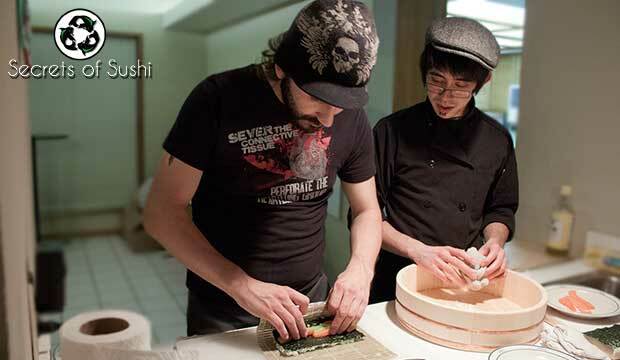 Rolling sushi is similar to riding a bike – once you know how, it becomes exponentially more fun! You’ll be able to make your favorite rolls at home, experiment with different ingredients, create your own recipes, and share your creations with friends and family. Need a unique idea for your next date night? Why not teach your significant other how to roll? Guys, ladies love a man that can cook. The more exotic the food is, the better. Ladies, they say that the way to a man’s heart is through is stomach for a reason. So why not add sushi rolling to your arsenal of jaw-dropping qualities? Browse through the Sushi Roll Recipe section of my website and find a few that you two will enjoy. Grab a bottle of wine (or your favorite non-alcoholic beverage). Roll up your sleeves and put on some up-beat background music. Have a great time rolling sushi with the one you care about. Be playful about it and have fun! Great! As I mentioned above, there are a few pieces of equipment that you will need starting off: a Makisu and a Rice Cooker. Most of you will have a sharp knife in your kitchen already, so you’re good in that department (although it wouldn’t hurt to sharpen it anyway, just to be sure). I appreciate your interest in rolling sushi. Thank you! Rolling sushi is an important part of my heritage and I am happy to share it with you. Remember, the more people that know about sustainable seafood and how to roll sushi at home, the longer we can keep this tradition alive in the modern world – so tell your friends and get them rolling sushi too! If there is anything I can do to help you out, even if it seems like a “dumb question” (which I don’t believe in, by the way), please don’t hesitate to shoot me an email (bryan@secretsofsushi.com) You can also head over to our Facebook Page and introduce yourself and post pictures of your sushi!